Will be held April 8, 2018. 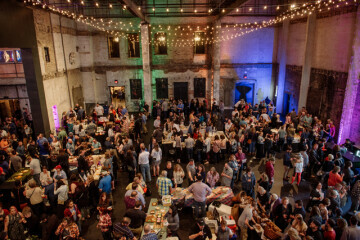 Cheesetopia 2018 returns to downtown Milwaukee in the historic Grain Exchange room of the Mackie Building. Each year, this traveling festival brings the best artisan and farmstead cheeses to the heart of a different American city. In 2016, attendees in Chicago had the opportunity to meet, greet, sample and purchase cheese from more than 40 of the best artisan producers from around the Great Lakes Region – the largest gathering of artisan cheesemakers ever assembled.